Watch dogs alert (the owners and guard dogs) by barking, Guard Dog is a dog that guards property or livestock. Attack dogs pin down criminals and terrorists. Protection dogs protect owners from perceived threats. Q: What is the difference between a guard dog and a watch dog ? A: A guard dog has the size, strength and drive for defence/offence. Watch dogs lack the size and strength, but are sharp, alert, have better hearing ability and often have more common sense compared to guard dogs. Watch dogs will bark at a stranger, then back off a few steps, and bark again, while keeping themselves out of danger. Guard dogs will bark, warn & attack. Q: Which dog breeds make good guard dogs / good watch dogs ? 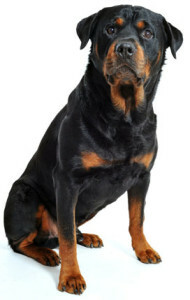 A: Bullmastiffs, Pitbull, German Shepherd, Doberman, Rottweiler are good guard dogs. Dachshund and Lhasa Apso are good watch dogs. Q: Are guard dogs and watch dogs safe to keep at home with kids ? A: Generally all dogs (including guard dogs and watch dogs) are safe to keep at home with kids. They should be socialized well, handled well and supervision is necessary. Q: Can a dog guard without biting ? 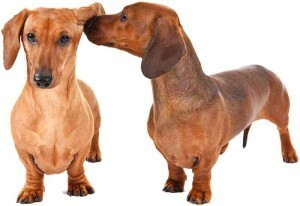 A: Many dog breeds can intimidate by their looks and size. A pure bred Great dane, Saint Bernard will not bite anyone (including strangers). These dog breeds can be appropriate for scenarios where avoiding violence is a priority. Q: Which dog breed is the best guard dog ? A: This is a difficult question. The Bullmastiff is the best guard dog for a family with kids. The German Shepherd is the best guard dog in most other scenarios. A guard dog + watch dog team is the most effective. Q: Which dog breeds are best watch dogs ? A: The Short Haired (Smooth) Dachshund and Lhasa Apso are the best watch dogs. The Lhasa Apso is also hypoallergenic (sheds less), making it the best watch dog to keep at home while the Dachshund is extremely entertaining and fun to own. Important: The dog’s genes, upbringing (Food, Socialization, Training) and the dog’s perceived position in his pack are of great importance. Each of these are equally important. An imbalance in any of these may result in an aggressive / submissive / funny / useless (as a guard) dog. We have seen some pretty funny dogs: pitbulls who are scared of kittens, dobermans who love strangers, mastiffs who roll like jokers and a chihuahua which scares everyone! Therefore, a good guard dog is made (not just born). A friendly looking dog (to avoid scaring passengers) with a good nose (ability to sniff out drugs/explosives) is required. A bloodhound has the best nose but would appear a bit too ferocious. A smaller hound (hounds have good noses) which can be handled quite comfortably on a leash without scaring travellers, children and women would be ideal. A beagle is often chosen for such a job. The dog should be alert, shed less, should be naturally clean, good with family and kids, good with guests after introduction and yet should be wary of strangers. In such a situation, it is difficult (not impossible) to find all qualities in a single dog breed by genes. It is however possible to choose the right dog breed and instil the required qualities in such a dog by virtue of its upbringing. Some good choices: Dachshund, Lhasa Apso, Yorkshire Terrier, Miniature Schnauzer, Chihuahua. These dog breeds are genetically predisposed to detest strangers. Most of these breeds can be good with kids. However, some breeds like the shih tzu, maltese, etc can never be good watch dogs as they are genetically predisposed to love everyone, including a thief! German Shepherd, in our opinion, is the most suitable guard dog in this scenario due to their natural instincts to listen, learn, and obey. They are both menacing in their appearance, and loving in their nature, but will respond to a command on any moments notice. They have thick fur, which makes them respond well to colder temperatures, and it adds to their toughness. They are very understanding of their homes, and will be wary of intruders. They have fantastic size and can take down any sized human without much trouble. This dog should attack and bite a stranger (most probably a thief) when the dog is left alone guarding the premises at night. However, the dog should not bite the workers, helpers, visitors during working hours. Depending on the type of premises to be guarded, one may prefer if the dog warns the stranger to back off before attacking. In any case, the stranger must be made to leave the premises as soon as possible. The dog should also be smart enough to not fall prey to any poisonous bait that the stranger may offer, or fall prey to friendly gestures accompanied by tasty food. Clearly, it is almost impossible to find a dog born with all these qualities. It is necessary to choose the right dog breed or a combination of dog breeds, work with them and train them to achieve the goal. To make training easier, the dog breed should be smart. It may also be necessary to restrain the dogs during daytime. Some good choices: German Shepherd, Doberman, Rottweiler, Pitbull. A smaller watch dog backed up by a larger guard dog (or just a large dog) often makes a better proposition than a lone guard dog. The smaller watch dogs are more alert compared to larger dogs and bark at the slightest doubt. 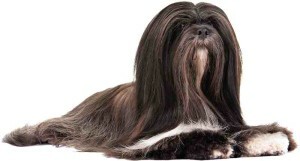 A Lhasa Apso or Dachshund can be backed up by a guard dog or a non-guarding gentle giant like a Great Dane. The great dane can be intimidating by virtue of his looks and size, yet pretty harmless and loving by nature. Examples of this type of arrangement: Italy: Volpino Italiano works alongside the Cane Corso and Neapolitan Mastiff. 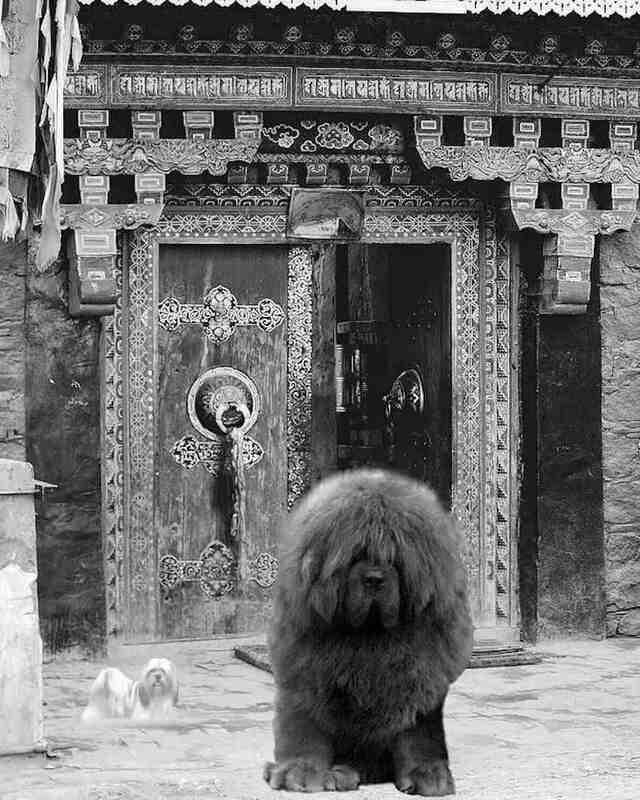 Tibet: Lhasa Apso and Tibetan Spaniel worked alongside their large guardian counterparts, the Tibetan Mastiff. If you have children at home, consider only those guard dogs that are friendly with children and everyone in the family. We recommend the Bullmastiff. Bullmastiff is a type of guard dog that is more protective of territory than anything else. The typical sequence of bullmastiff guard behaviours include running up to a suspicious character, maybe slam the front feet into the ground, and take a stand, maybe growling and/or barking, thus threatening the perceived danger first. Typically, the dog then takes a moment or two to evaluate the problem before taking further action. A bullmastiff exhibiting a threatening posture is usually enough for any person with malicious intent to decide on a hasty departure rather than confrontation. When confronted and threatened back, the bullmastiff will use his weight to shove and/or bite to take care of the perceived problem. Thus biting is the last in a sequence of guard behaviours of the bullmastiff, and it happens rarely. This type of guard behaviour is quite different from that of herding breeds, like the German Shepherd. This sequence was tapped in developing herding dogs, where the kill part was selected for extinction and the bite part was selected for softness and control. Herding thus involve selected predatory behaviours. These breeds are also good guard dogs, and their guard behaviours are like a predatory chain without the final kill: being aware and vigilant – alert by barking – stalk – chase – bite. They show a strong prey-drive and they tend to like retrieving objects. The guard behavior of the bullmastiff is quite different from that of herding dogs. Their guarding is closer related to that of the large flock guarding breeds. These dogs tend to stay with the livestock, and they do not prey on livestock. They also protect their flock from predators. Their guard behaviours do not involve chasing and catching, as much as interrupting the predators behaviours by interrupting and deflecting. These dogs have a low prey-drive, and they are not interested in chasing and catching objects. They tend to stand their ground to protect their territory and to prevent a predator from getting close to the livestock – or the family. Looking at guard behaviours this way gives us an understanding of aggressive behaviours in different dog breeds and why uncontrolled aggression is more serious in a flock guarding type of dog than in a herding type of dog. The herding dog tends to bite quicker and at a lower level of provocation. When they bite, the bite tends to be of the slash and run type. A flock guarding type of dog tolerates more provocation and makes more use of threats before he bites. When this type of dog does bite, there tends to be a lack of inherited and inbred inhibitions, making these bites more serious. There is also another type of security dog: the Personal Protection Dog (PPD). These dogs also work on instinct, but are typically always with their human. They are rarely expected to sit back at home and guard the property while their owner is gone – instead they would be with their owner as their primary job is to protect their owner from bad guys. These dogs require a lot of training in the area of obedience and control, and probably pose the highest liability to the owner. A typical should be expected to engage and eliminate threats – without guidance from their handler. These dogs read the situation, and act on instinct to protect their human. These dogs require a lot of socialization so they can best read their environment and different scenarios. During the height of Roman Empire, attack dogs were used to break the first line of enemy armies, and were feared for their ferociousness. In more recent times, dogs were trained by the military as sentry guards, protecting troops from attack. And as silent scouts, dogs would warn troops to the presence of enemies, diminishing the chances of an ambush. The troops lucky enough to have these attack dogs by their sides were most likely to survive war. Well-trained attack dogs are socialized, loyal, and unerringly obedient. They will not attack unless their owners are facing a threat or have commanded an attack. Some dog breeds are better than others when it comes to this type of training, since it requires strength, calmness, loyalty, a love of humans, and a highly developed intelligence. Attack dogs are trained to bite on command, as well as stop biting on command. 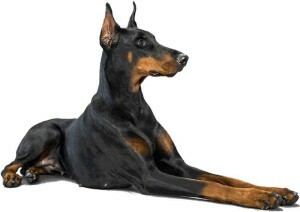 Doberman Pinschers make fearless attack dogs. We have all heard of the proverb ‘Once bitten twice shy’. This itself exemplifies how well we learn from our experience. Personal experiences leave an indelible impression on our minds that are more lasting and invaluable. Your experience and comments are collectively important for choosing the right guard dog. We would like to ask you to please share your experience with others by writing a short review on the dog breed you have and its guarding, watching abilities.